Nov. 16, 2015, 6:30 p.m. 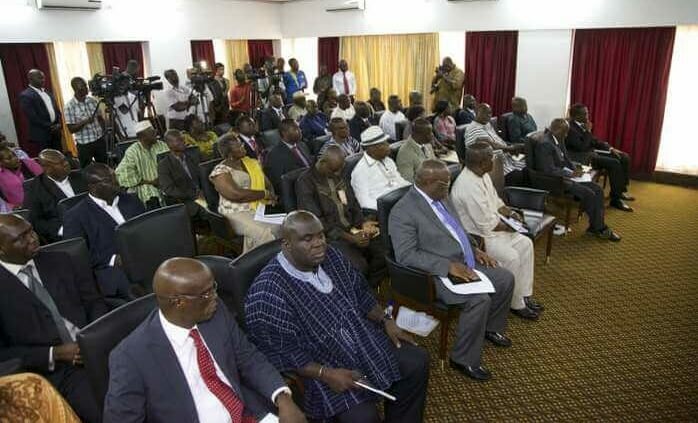 The Director-General of the National Development Plan Commission (NDPC), Dr. Nii Moi Thompson, has urged Ghanaians to actively participate in the process of producing a long term national development plan for the country. According to him, the preparation of the 40-year long term National Development Plan was appropriate to help address the infrastructural deficit in the country. Dr. Thompson was addressing the Eastern Regional forum, organised by the NDPC on the preparation of the long-term National Development Plan, here. The forum afforded stakeholders the opportunity to make suggestions and inputs into the plan. Present at the forum were representatives from various political parties including the National Democratic Congress, the New Patriotic Party, Convention People’s Party and civil society organisations. Also present were Members of Parliament for all constituencies in the region, representatives from the Eastern Regional House of Chiefs, schools, Palm Oil Extractors Association, Eastern Development and Advocacy Consult and the Market Queens Association in the region. 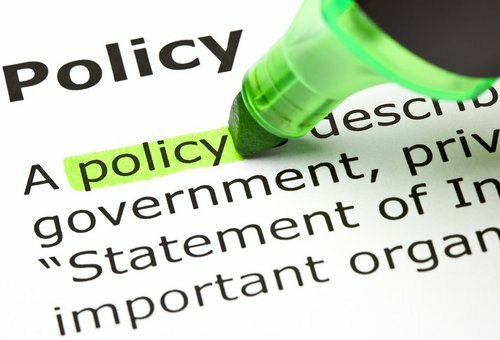 Dr. Thompson said the long-term plan which had a 10-year medium plan for four years each, would ensure political parties present more realistic manifestos to the people. “The plan will also be reviewed every 10 years by Parliament to keep the plan current and relevant,” he added. He stated that issues such as energy sufficiency, land reforms, civil registration, vital statistics, street naming and house numbering would be considered under the national plan. 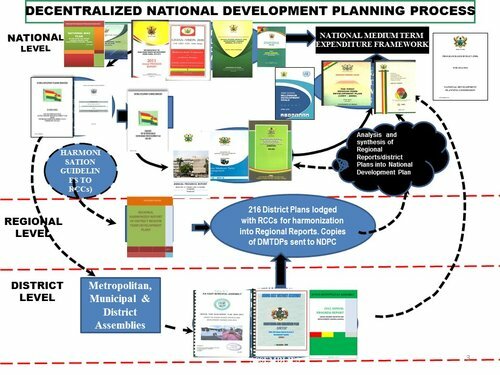 The Eastern Regional Minister, Mr. Antwi Bosiako Sekyere called on the NDPC to ensure that implementation challenges “would not be allowed to draw the plan of action back into a mere talking shop”.